When the ICC World Cup Qualifiers began in Zimbabwe two weeks ago, the full members playing the tournament had one objective: to qualify for the ICC cricket World Cup. But for associate teams playing in the tournament, it was more than just about qualifying for the World Cup, it was about gaining ODI status from the ICC. Ahead of the tournament, the ICC announced that top three associate teams at the end of the tournament will receive ODI status and a chance to play the World Cricket League Championship. This translates to more funding from the ICC, prospect of organising more matches and getting the ICC nod to play the four-day Intercontinental Cup tournament. Although three spots were up for grabs, there were five contenders. Two teams would go home relegated to the second division. 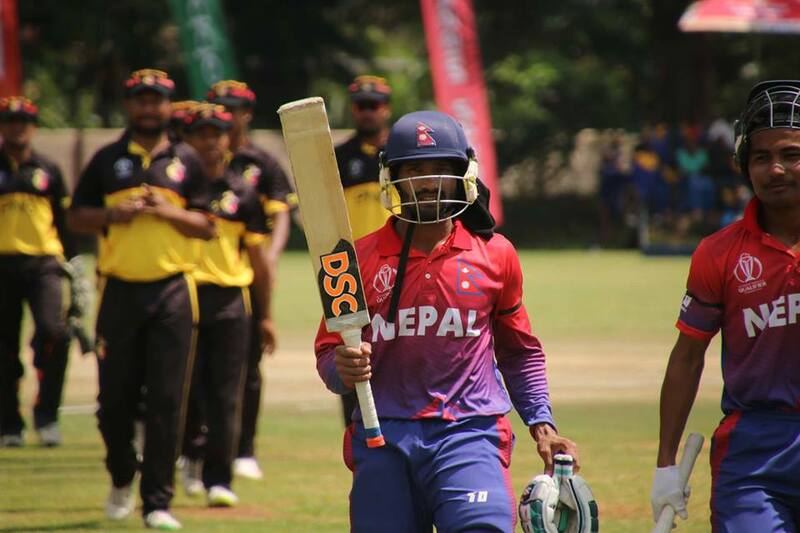 While Nepal made a shaky start to the tournament, the UAE and Scotland made it to the Super Six, ensuring that they finish at least sixth in the tournament. It became all but certain that the UAE and Scotland would get two of three ODI slots available. But the third slot was yet to be filled. The race was between Hong Kong, Nepal and PNG to finish ahead of the pack and to get ODI status. The equation had become simple, Nepal would have to beat PNG and the Netherlands would have to beat Hong Kong. Nepal easily beat PNG, but he Netherlands vs Hong Kong game went to the wire with the Netherlands edging the Asian side. A valiant effort by skipper Babar Hayat was not enough to get the 174 runs needed to win the match and the ODI status. With the result, Hong Kong and PNG are relegated to Division 2. They will now have to play Division 2, finish either first or second, and then qualify for the World Cricket League. Meanwhile, Nepal get ODI status.